learning never looked so good! FIND OUT ABOUT OUR NEW 12 CARD NOTECARD SET! Read a Sample Article/View a Sample Illustration. See a list of retail stores that carry our book! BOOK SIGNING SCHEDULE AND OTHER EVENTS!! Read the latest press clippings all about the book! 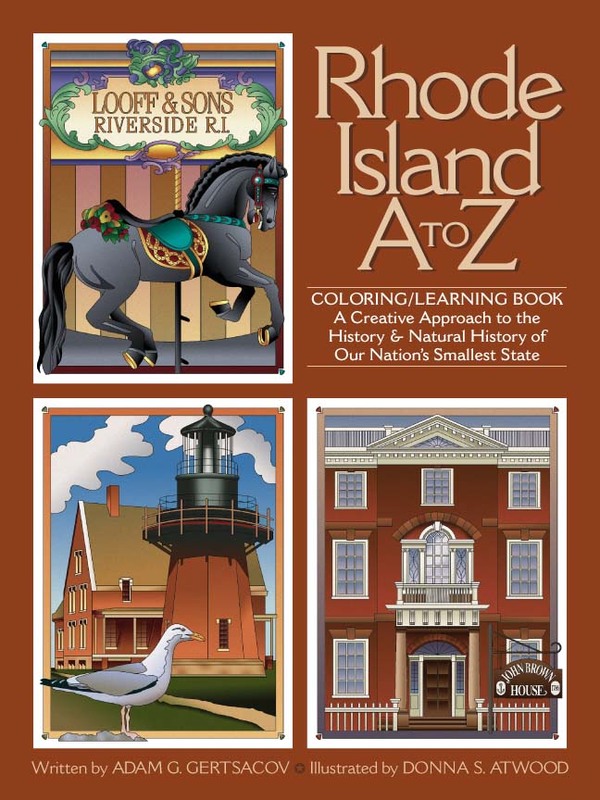 From johnnycakes to quahogs, from the Block Island Lighthouse to the Providence State House, this beautifully illustrated book gives readers hours of creative coloring fun as well as a wide array of fascinating facts about our nation's thirteenth state.  Curriculum based content with special educational copyright for classroom use. 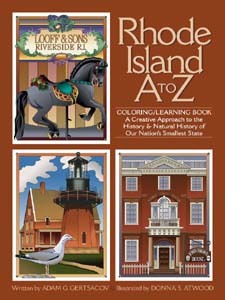  Year 2000 grant recipient from the Rhode Island State Council on the Arts.  Author visits and residencies available. 64 pages; 9" x 12", Printed in North America. 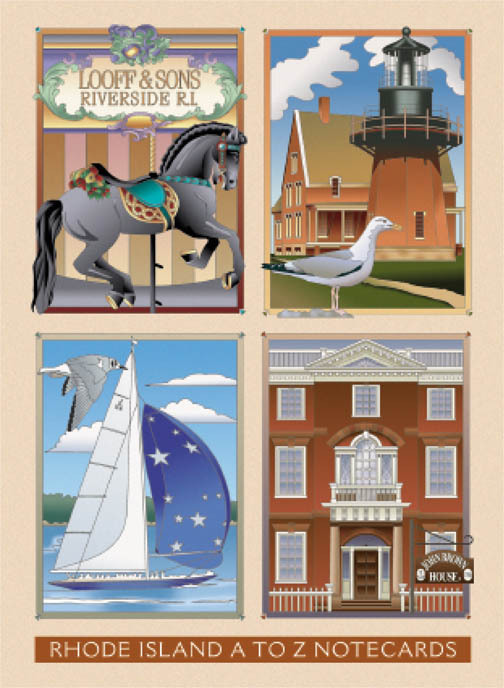 NOTECARDS: Now you can share Rhode Island's noteworthy history with all your friends and family. 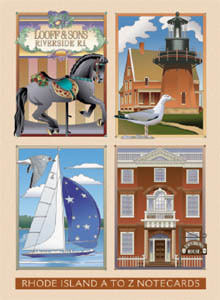 These richly colored notecards feature twelve of the Ocean State's most popular and beautiful subjects! They are blank on the inside, perfect for writing your own messages on them. There's a card for any occasion! 12 card set (12 separate images) Printed in North America.